this almond cherry bostock would be good for christmas breakfast, though i’m pretty sure you won’t see this in time to test that theory out. so why don’t we assume that it would be good for any sort of special breakfast/brunch occasion you have coming up? also, let’s define bostock. (i sometimes assume prior knowledge that most people don’t actually have. ie, my mom doesn’t know what tbh or og stands for, and has to go look it up). food media appears to be forcing a french toast/bostock association, though i personally think it’s more like a jammy almond croissant, but on brioche (i’d argue that challah also makes for a fluffy, eggy, carby base worthy of your consideration) instead of a croissant. pair that brioche, soaked in lemon simple syrup (because mornings are hard, why not, etc etc), with decadent frangipane, crunchy almonds and plenty of fruit. in the words of goddess ina, how bad could that be?! the pictures here involve fresh cherries on top. tasty, except if fresh cherries are out of season (ie now). in that case, the original recommendation of pairing the bostock with grapes roasted in lemon and butter works really, really well. sounds weird, but something about the hit of lemon and super juicy grapes fits the bostock. happy holidays to you, whether or not you have almond cherry bostock on the table (personally, i’ve been doing a mishmash of lemon crunch cake and kimchi stew and hawaiian sweet bread pudding)! may you be surrounded with the kind of people who offer to hand model for you (or, people who are willing to barter their hands for such a usage in exchange for mac and cheese). 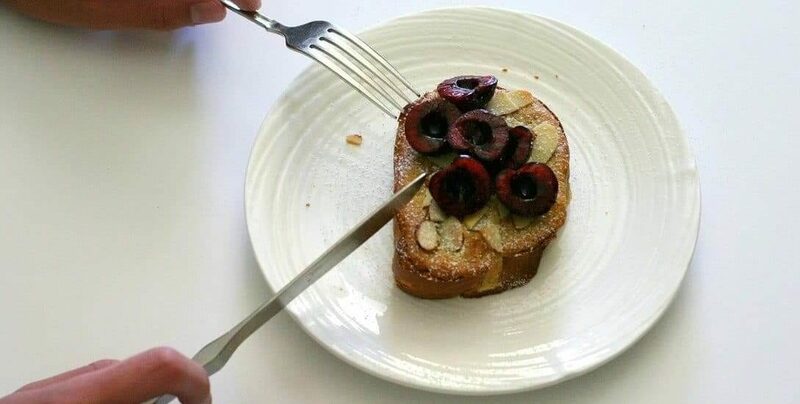 This almond cherry bostock tastes like a fruity almond croissant, but on super eggy and equally decadent brioche. Perfect for breakfast, brunch, tea time or dessert! In a food processor, process 1 cup almonds, the sugar and a pinch of salt until finely ground. Add the eggs, butter, brandy and almond extract. Process until a uniform paste forms. Cover and refrigerate for at least 1 hour or up to 3 days. In a small saucepan, combine the sugar, lemon zest and juice, and 1/4 cup water. Bring to a simmer, stirring occasionally. When the sugar has dissolved, remove from heat. Cool to room temperature. Preheat the oven to 400F. Toast the brioche as it preheats. Arrange the brioche on a parchment lined baking sheet. Brush the syrup onto the toast until they are thoroughly soaked and very moist. Use all of the syrup, even if it seems like too much. Spread with a generous layer of jam and follow with a layer of almond frangipane about twice that thickness. Top the toasts with the remaining almonds. Bake for 15 to 18 minutes, until the toasts are deep golden brown. Monitor them closely in the last couple of minutes. Cool slightly. 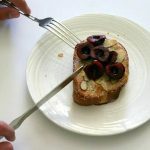 Put the toasts on plates and spoon the fruit over top before serving. From Sarah Jampel via Food52, adapted from Chad Robertson’s Tartine Bread. You could also sub in 1 T amaretto, and omit the brandy and almond extract. If you want to do the lemony grapes instead, toss 1 lb grapes with some melted butter and lemon zest, and roast in the oven until juicy and shriveled slightly. 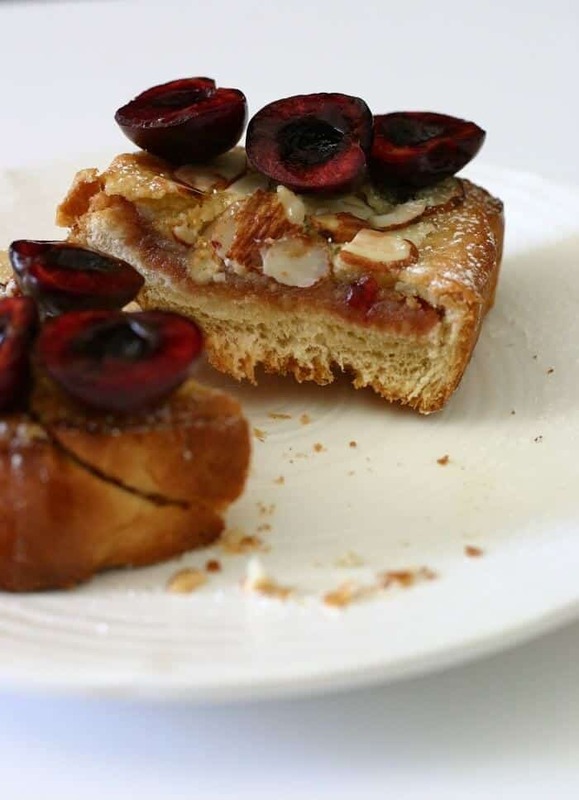 The almond cherry bostock looks delicious! I know my boyfriend would love this too! I really need to give this a try. I like how this doesn’t take relatively long to make. 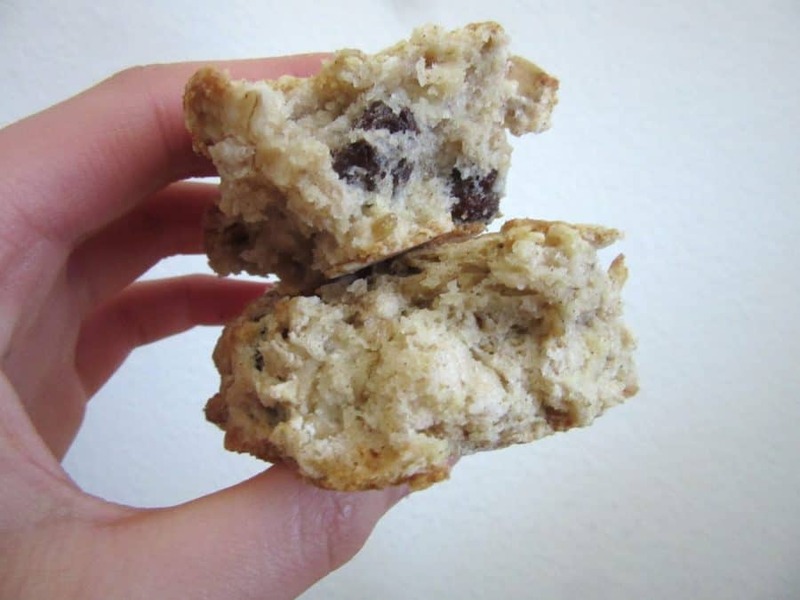 Thanks for sharing your recipe :). Merry Christmas! A slice of this on Christmas morning would have been perfect. I love it! It doesn’t matter what you call it, yum I’d love a slice or two for my breakfast any morning 😀 hope you had a wonderful Christmas. Sounds heavenly!!! I am craving it right now! Ok ok ok I’m one of those people who didn’t know what a bostock was! But now I do! This looks so yummy. How did I not know this existed?!! Totally perfect for Christmas morning (or any morning!). perfect! (: on a slight tangent, love almonds but not a fan at almond milk at all. they taste so different! I’ve never heard of a bostock before and now I feel as if I am missing out on something really tasty! What a fantastic sweet breakfast to have! It’ll also be pretty good for New Year’s breakfast!!! wow! I’ve never seen this word, but boy does it look perfect for any special brunch! Thank you! haha i live to torture people with food (; seriously though, sometimes i’ll see friends, and one of the things they’ll comment on is how hungry the food i’ve been posting makes them. I wish I’d seen this before Christmas 😉 It would be great any weekend though, as I’m always looking for something a little exciting to serve for brunch! Yum! I have never heard of this before! But it sounds so rich and yummy! This would make for a great holiday breakfast!! Ah bostock – I think of it like the love child of a croissant and french toast. This looks absolutely perfect! i think it really depends on the bostock you have! these ones are more almond croissant-y, but i had one this past weekend that was more brioche + pb cookie (super tasty, just different!). This sounds delicious and the grapes roasted in lemon butter does too!! I hope you had a great Christmas! I’m definitely glad you defined bostock as I’ve never heard of it before, but now… drooling. This sounds amazing! Definitely going to have to give it a try!